After news broke that the Oculus Rift version of Minecraft had been cancelled, many people couldn't help but wonder, just how much of the project was there to cancel, exactly? Was there something there to cancel, even? Yesterday, Palmer Luckey—co-founder of Oculus VR—took to Facebook to comment on the cancelation, and he made it seem as if there wasn't much there to cancel in the first place. "[Markus "Notch" Persson] had the Rift for a year and had not even tried the Minecraft mod (which is really good), much less done any exploration work," he wrote on an article posted by Michael Moffitt. "I think Notch is a super cool guy, but it is really easy to 'cancel' a project that was never started as an out." I haven't done any Minecraft development at all for a long time, but I've built several prototypes of games for the Oculus Rift. I never play ANY mods for Minecraft because they make me feel weird feelings about second guessing my work. A lot of the mods do things better than I ever could. 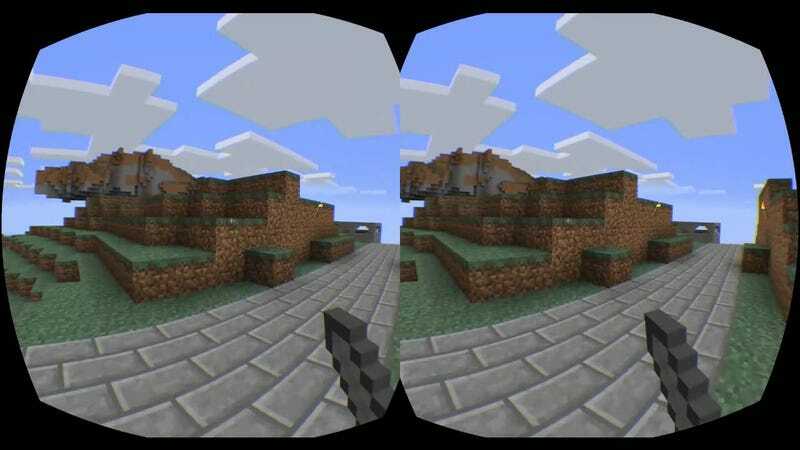 Other developers at Mojang have played the mod, and the mobile Minecraft development team has worked on an Oculus Rift prototype of the game. The last thing I said to the oculus people before I left was that I would love for us to make a free version of Minecraft ("Minecraft VR Edition" perhaps?) to help promote VR, even if I don't think a game with as much GUI as Minecraft is ideal for VR. So there you have it: there was indeed at least a prototype of the game, and the finished product might've been free, had it ever been released. If only! Of course, in spite of all of this, Minecraft fanatics still win out in the end: there are Minecraft mods for the Oculus Rift.